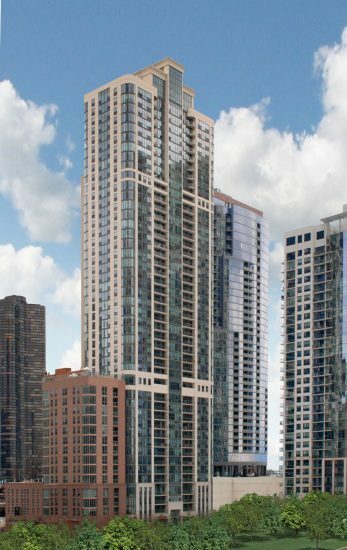 The Shoreham was the first luxury apartment high-rise constructed in Lakeshore East. These 548 exquisitely appointed residences reflect a cosmopolitan pallet throughout the building’s studio, 1 and 2 bedroom units. Winner of 10 CAMME awards from the Chicagoland Apartment Association and capturing the coveted Paragon award from the National Apartment Association, The Shoreham was named the 2007 Apartment Community of the Year. Amenities include a Life Fitness™ fitness facility, business center, game room, sky garden, cafe outdoor pool and spa. ©2018 Magellan Development Group, LLC. All Rights Reserved.